Enhancing the financial and aesthetic value of any outdoor space, installing timber decking is a rewarding project. As with any construction or renovation project, it is essential to use materials of professional quality; that's where NWTT can help. We supply a comprehensive selection of timber decking materials and accessories designed to help YOU achieve lasting results. Everything you need to create attractive, robust timber decking can be purchased from NWTT, from the decking boards themselves to newels, spindles, handrails, fastenings, tools, safety gear and accessories. NWTT supply two different types of decking boards from our vast stock. Our economy decking boards offer a cost-effective option while our heavy-duty boards are designed to withstand more frequent use; the heavy-duty variety is made from the strongest, sturdiest wood and benefits from a protective waxing treatment to improve resistance to the elements. 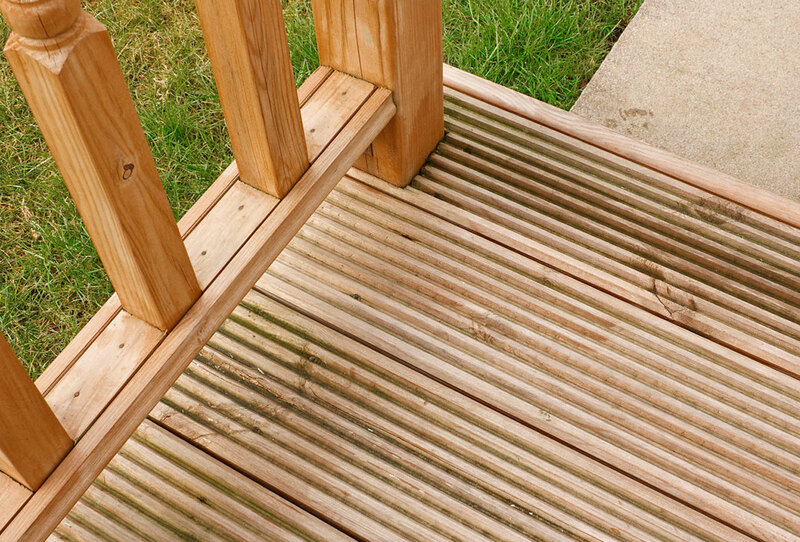 A successful decking project is built on a tough framework made using decking joists. These crucial components are pressure-treated to ensure the strongest foundation for the decking boards. Spindles and newels are used to further strengthen the decking and also add extra aesthetic value. A base and handrail are used to complete the project, creating a multi-functional space that will last for many years. For more information on our selection of decking boards and other timber decking materials, please contact our skilled and experienced technical team.